How often do you care for your boat? I'd like to apologize in advance for a silly poll. I'm just really bored at work today. After having my boat on the water my "mild" case of OCD has started to lift. Before when I towed my boat to and from, I would spend almost as much time waxing as I did skiing (I know its embarrassing, but I had a lot of free time). Since my boat has been on the water yesterday was the first time in 2 years that I put a coat of wax on it, and vacuumed the carpeting. I guess as of lately I have been skiing a bit more. We still wipe down with a product. So how often do you care for your boat? I wax and detail every nook and crannie after every ski session. I wax and detail every 1-2 months depending on how she looks, but wipe down after every ski. I wax and detail once or twice a year, but wipe down after every ski. Who has time for waxing or detailing, this is a ski machine....gas and go! Look after your boat and it will hold its value. After every session, we wipe down the exterior with Boat Bling's Hot Sauce and the interior with their Vinyl Sauce. About once every 3 months we'll wax using Quickie Sauce. 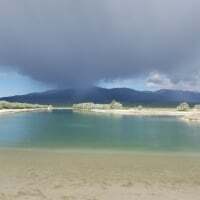 We use spray wax to wipe it down every time we take it out of the water. It does not take any longer than using vinegar and the spray wax keeps it clean along with helping keep the water spots off. Wax once a season and then give it a treatment of 303 on the vinyl and inside surfaces 2-3 times a year depending on how dirty it gets. Seems to work well so far - boat is 7 years old now. So, I'm a little OCD. 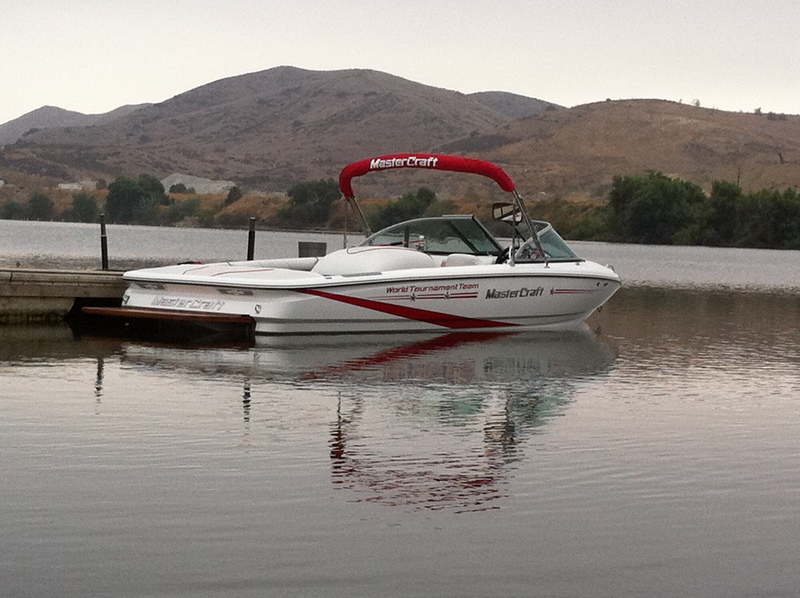 But besides skiing, I also show my boat and take it to MasterCraft Reunions. Last reunion I won Best in Show in the 87-2000 class. Wax and detail at the end of the season. Wipe down after every use. Pull out of the water overnight. Just the wipe down and removing it from the water overnight keeps it basically spotless. Don't really even need the detailing. With the boat on the lift all summer, I'll just wipe it down before I put it away. Can't wax it on the lift. I do a good buff when I pull it in the fall, and again in the spring before I launch. A coat of Lucas Oil Spray Wax after EVERY set! It's a tradition at our ski club. Turtle Wax- Wax and Dry. Inexpensive. Sprays on in mist form and use a wood floor microfiber dust mop for the wipe down. That's the best part. Can be on the lift and there's no bending and reaching to get it done. Mop handle and pivoting head of the mop eliminates the stooping. Had it professionally waxed (3 stage all day process) 3 yrs ago and it looks the same. I need to do the inside each time as well. See a couple interior rec but looking for the same spray and wipe option. OCD Boat is always detailed and waxed, looks as good or better then when it was picked up at the dealer. 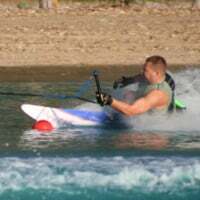 Wipe it down after every use and detail it on Sunday mornings, (no wake till 11AM on Sundays), my quite time. But I hope there is bacon when I get back to the house, hummmmmmmmmmmmm bacon! Good to hear I have fallen off the OCD and into the norm of boat care. After a good buff, polish, and wax she is back to a new luster. I have been using Babes for the past two years, but had a sample of Boat Bling, I may be switching to that stuff because it smells better. I smile a little when my an almost 20 year old boat looks nicer than some of the 5-10 year old boats. @MattP thank you for voting Bacon, if it wasn't my stupid pole I would have too.......bacon. Boat Rule #3: "Be aggressive"
Couple times per year and wipe down every time I use. None of the above really apply. I usually don't wipe it down after use. Usually BEFORE using it to get the dust off because it sits in the garage. Wax a couple times per year, vacuum as needed, Armor All on the interior once a year if I feel like it. It just gets dirty again because I use it so much, so I don't kill myself keeping it spotless. I tried to pick the closest thing for me. 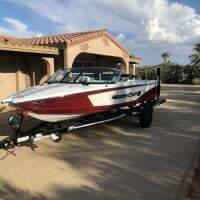 I never wipe down my boat after use and really don't even wax it since it's an automotive paint instead of gel coat but do give an extra cleaning at the beginning of the year. I'll wipe the dew off if I go out in the morning and I'll wash it once every month or two when the dust and spider/bird poop starts getting noticeable. Other than that, I just make sure the fluids are good and everything is generally clean on the inside. 3M Marine products inside and out. Probably closer to every 2-3 months. Gets waxed late October for the limited use season, the first warm weekend late winter/early spring to start the season and a couple times in between. The trick for those of us who keep our boats for years is to keep the gel coat oxidation from starting by keeping some wax on it. Once oxidation starts, what a forever PITA (time to sell). If spent time paying attention to my boat, how would I make time for commenting on BoS!? I usually wax it in the spring and wash the sludge off it in the fall. I do wipe the inside down once a week usually. My boat lives in the water from April to October so I really don't have the opportunity to wax it. When I'm at my lake house, I have it on the lift when were not skiing and in the garage when I leave the lake for a week of work. I never wax my boat but I do wipe it down after every session with Babes Boat Brite. It works great and the boat stays showroom clean. I figure if I'm going to spend that much money I may as well take good care of it. Resale value is very high on my list. @chuck_dickey - great boat! Thats what we ski behind. As far as every set wipe downs go - does anyone use a wax/vinegar mixture to help cut through the hard water spots? I have been told to use half vinegar and half wax as you dry in a spray bottle after every use. Also heard lime away does the trick too. Dilute vinegar, LimeAway etc will all strip the wax. Gets the water spots but also takes the wax off at the same time which makes the water spots build on bare, unprotected gel coat even more quickly. If you wipe down after every use the water spots are slow to build up, and personally I'd rather do a complete strip/rewax a couple of times a year. Different strokes... We use micro fiber towels to wipe down which not only get the water spots but buff the wax at the same time. Boat sits in the water from May 1 - Oct 31. Every month or so, I will sweep out the crap from the trees, Wipe down the seats if I am bored, other than that it is put gas in and go ski. @rayn, @than, @chef23, Mystery solved! 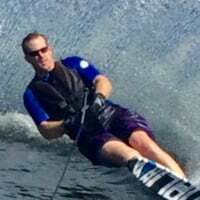 Now I know why my Cochituate friends are so much better skiers than their Quinsigamond counterpart...they just gas up and ski, while I clean the boat...LOL. Truth is I don't "clean the boat" that much (covered lift keeps it in good shape). Ok I got it...you ski better, because you are...better. @rfa if I had that great lift with the canopy I would keep my boat clean also. Thorough cleaning & wax in the spring, again mid season, and get the bottom waxed on the lift before water gets too cold in the fall. Boat is on a lift and gets wiped down after almost every use. Never put cover on while carpet is wet. Cover has a skirt to protect sides from sun. Most of the time its on the lift while we have water. I vacuum the inside once every 2 months. at the same time I wipe down the seats, dash, windshield, ect. I hardly ever wipe down the exterior. Who cares. Life's to short to make sure everything is neat and clean. 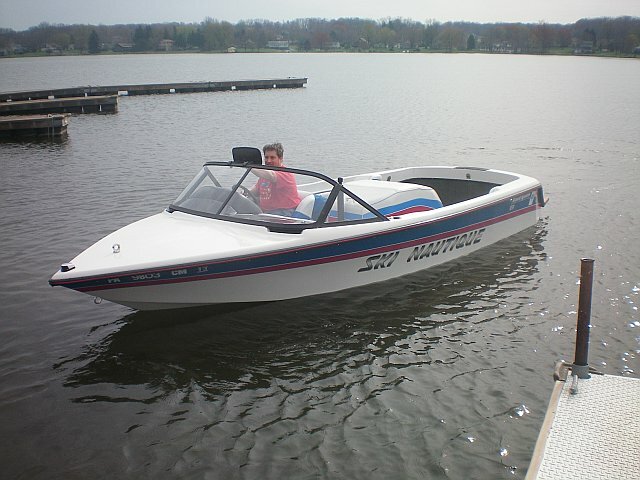 I give my boat a full detail job every fall before it goes in the garage for the winter. 2 coats of wax top to bottom, 3m Vinyl protectant on the upholstery, and rain-x on the guages, mirror, and windshield. It gets a single coat of wax monthly during the season. Wiped down after every ski. Experimenting with Rain-x wash and wax to see how it works in between detail jobs. So far so good. Can't afford a new one so this one has to last.. 1660 hours on it. It is also kept on a lift during the season. Semi heated garage in the winter which seldom gets below 40 degrees. @GAJ0004 That boat looks beautiful for almost 1700 hours!! I agree with you, keep what you have nice and it will last. Its just as of lately I have spend more time on the water than normal, and last year seemed to neglect my boat a little. @Andy You wax the bottom of your boat while its in the water? You must do it all by hand, because I'd be scared out of my wit of dropping the buffer in the water and electrocuting myself. And for all those that voted Gas and Go, I now have a list of who not to purchase my next boat from .